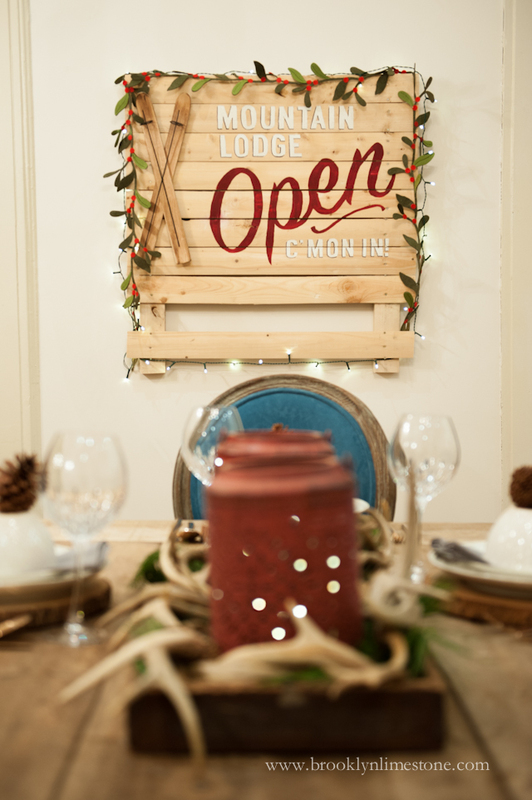 While I don't really do a specific "theme" at Christmas, I seem to be veering toward the cozy, rustic lodge feel this season. 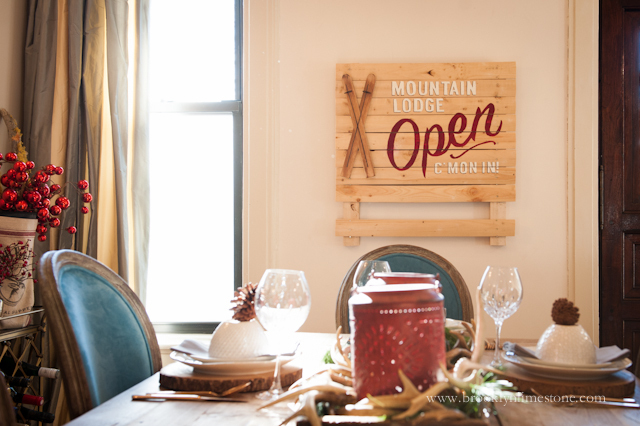 This DIY sign totally embraced that concept and made the perfect accent for my dining room wall. I was able to use materials I already had (except for the skis of course!) so I was able to complete it in an afternoon. 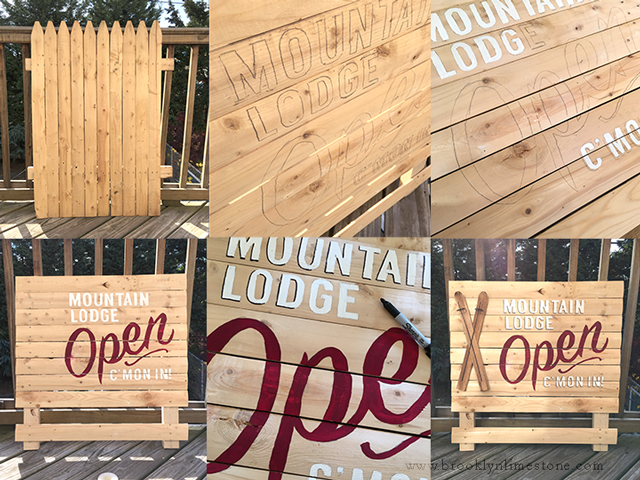 I still have a bit more decorating to do before I can call it ready for the festivities but this sign might be my favorite project this year. I started by cutting down a piece of picket fencing (the very same I used for my Charlottes Web Halloween decorations). Then, using a pencil I set up the layout, erasing as needed until I was happy with the design. White and red paint was used to fill in the pencil marks along with a black sharpie for shadow lines. Finally I erased the pencil lines and hung up the sign. Voila! I'll be sharing more of this years Christmas decor next week. I hope you aren't already sick of holiday posts just yet. Since I don't decorate until after Thanksgiving I always feel a little bit behind. I love that! 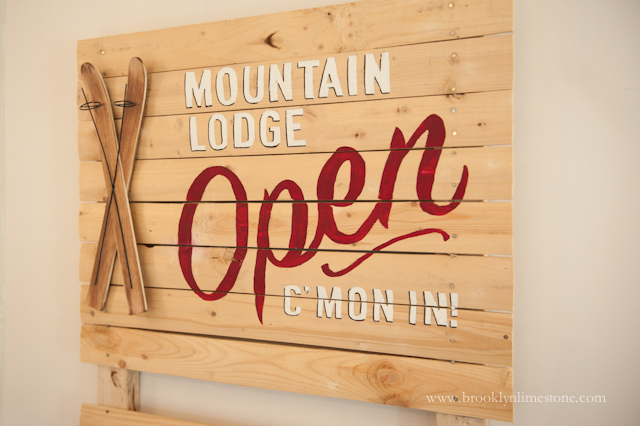 I totally would have been on the mini-ski bandwagon - if we still had a Target here :( Love the rustic lodge theme you have going on. I spy antlers! Are you doing any new gift tag printable a this year? Yours are so great!